Gwynfe has a unique character of its own; a farming village of people whom have lived here for generations, while the addition of retired incomers help give it an interesting mix. Situated in the Carmarthenshire hills of the Brecon Beacons, Gwynfe’s population are to be found living in scattered farms and houses. 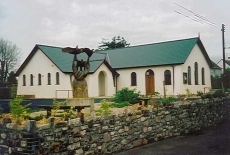 Within the centre stands the Community Hall, adjacent to which are a collection of dwellings, mostly stone built cottages and a small church; there are two chapels in the countryside. Not having a Shop, School, Public House or Public Transport in Gwynfe, the Hall serves an important purpose. The ancient Leet Court is held at the Hall. 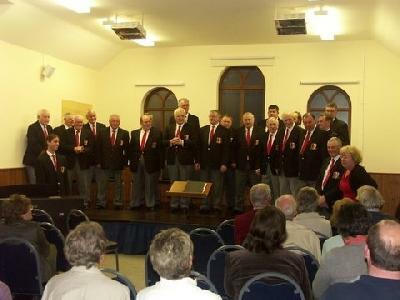 Over the years our Hall has won praise from various sources, some resulting in Awards such as Brecon Beacons National Park Authority 2003 Culture Award, the Rotary Club sponsored by Calor Gas 2004 Carmarthenshire Village of the Year in All Categories, and Winner of the IT Award in Carmarthenshire; later that year we also won the National Calor Award for 2004 Winner in All Wales for Information Communication Technology and in 2005 a Brecon Beacons National Park Authority Award, in recognition of our conservation and enhancement of the rural environment within the National Park. £122 - Day Only as above + Licence. Maximum capacity: 80 at Tables and Chairs; 120 Theatre Style seating. The Hall’s dimensions are 11 metres x 6.1 metres. There is a small Green Room for the benefit of the Artists to change, but it is multi-purpose, as is our Hall, and can be put to many uses. There are 7 steps at the main hall entrance, but there is a side entrance with no steps, giving access for wheelchairs. 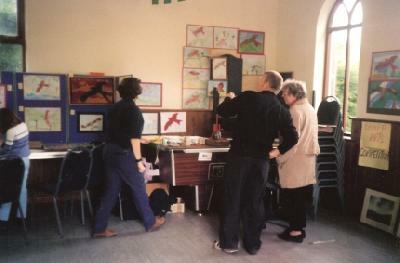 The Hall is always used as a Polling Station for elections. 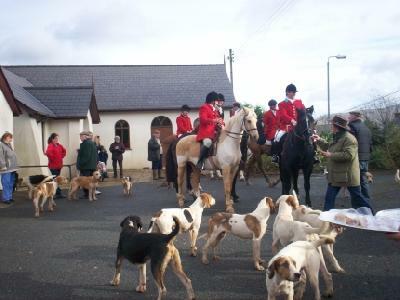 Capel Gwynfe, Llangadog, SA19 9RD Carmarthenshire. Registered Charity No. 1079360. Disabled facility; the Hall’s Public Lavatories which open 24 hours, are clean. Kitchen offers Cooker, Microwave, Refrigerator, Kettle, Glasses, Cutlery & Crockery and Water Boiler for instant hot drinks. We have a demountable Stage, Stage Curtains and Stage Lighting; there are Blinds for use during daylight hours. Our IT equipment includes four Desktop & four Laptop Computers, two Printers and facilities to plug-in a Laptop for use with our Projector & Large Screen. We have a built-in sound system for use with our CD, Video and Tape Player. We have an Electric Piano. There are Fan Heaters in the Hall. There are 2 disabled parking spaces and 2 standard spaces, with plenty of room for road parking nearby. Gwynfe is approached from many different directions depending on where ones journey has originated. Telephone Secretary June, 01550 740602, for exact details. Most people finally get to Llangadog and are directed along the A4069 until the Gwynfe turn off, at what used to be the Three Horse Shoes Pub. From there the journey continues approximately 2 miles, along a country lane, until one approaches the “Welcome to Gwynfe” sign. From here it is ½ mile on the right, to the Hall nestling in the Black Mountains; you are there when you see the famous sculpture of our “Three Red Kites”.